Ekta Kapoor is undoubtedly the czarina of entertainment in India. She is constantly contributing immensely to all the mediums – be it television, films and now even the digital space. The diva has indeed transformed the entertainment industry with her spectacular content and has also bagged several respectable awards for her commendable achievements. 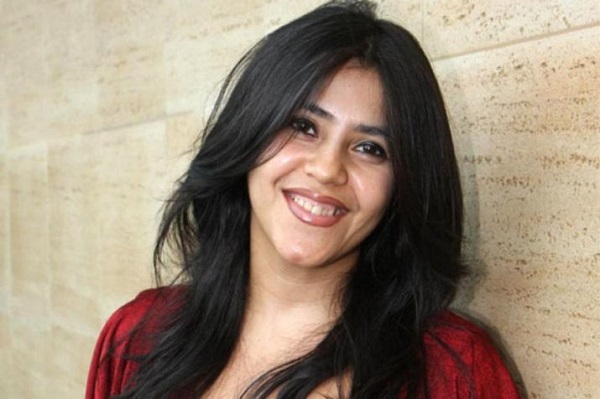 And now, Ekta Kapoor, who is the joint Managing Director and Creative Director of Balaji Telefilms, has been honoured with yet another prestigious award. A first of its kind, the FICCI Ladies Organisation Icon Award. The award was presented to Ekta by none other than the honourable president of India, Ram Nath Kovind. Every year FICCI Ladies Organisation (FLO) recognises the achievements of women who have excelled in their respective fields and are icons of inspiration for the society. The theme for their 34th Annual Session this year was – Women Transforming India. Ekta has truly transformed the entertainment industry of India and rightfully deserved the award. Speaking about the honours, Balaji’s head honcho said, “I am truly humbled and honoured”. Meanwhile, Ekta Kapoor’s upcoming shows include, Naagin season 3, Yeh Hai Mohabbatein spin off, Yeh Hai Chahate and Kasautii Zindagii Kay reboot. Moreover, rumours are rife that supernatural a television version of the iconic movie, Kabhi Khushi Kabhie Gham and another supernatueral show. Not to forget her already running shows, which are topping the BARC’s TRP charts. Anil Kapoor bags another award!